Since years I have been on the search for a good and specific wood weight table for New Zealand native and exotic trees. What is a wood weight table? A wood weight table lists the common wood weight of specific tree species. The wood weight of a certain tree species can vary by region due to diverse growing conditions, so a specific wood weight is always an average value. Accordingly, wood weight tables can of course be more specific. It can include regional average wood weights for common tree species. We have built a simple form that you can access from any mobile device that will calculate the volume and the weight of the wood by tree species. 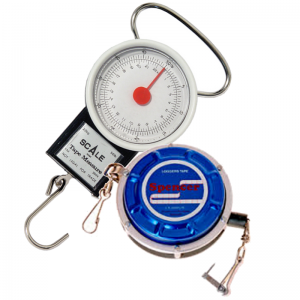 All you need when using this form are a tape measure and fishing scale. Knowing the average wood weight of a tree species that you are working on will help you pre-plan a job site. The results of the information collected through this form will be made available online. 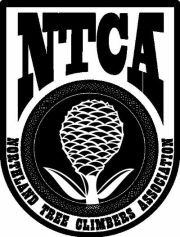 Help build the NZ Specific Wood Weight Table for Arboriculture. The weight of the wood will also vary within the tree but the specific wood weight does not change if you are measuring a 2cm thick disc or an 8m long log. This fact makes it possible for everyone to measure the wood weight with samples. Simply cut a piece of branch or a disc from a trunk. Then measure the middle circumference and length, and weigh it with a fishing scale or a similar device. To increase accuracy, best take the measurement when the wood is freshly cut. If possible it would be good to remove the bark from the wood first. Enter the information into the form below and voilà! You will then have the specific wood weight of that piece of wood. So please make sure to submit your entries every time! The more data we collect the more accurate the NZ Specific Wood Weight Table for Arboriculture will be. Feel free to contact us with your ideas to improve this form. If you need a specific function for a project or if you would like us to add a tree species, it is all possible. Pro Climb would like to thank you in advance for your participation. Make sure you connect with us on Facebook, Google Maps, Linkedin and Twitter!